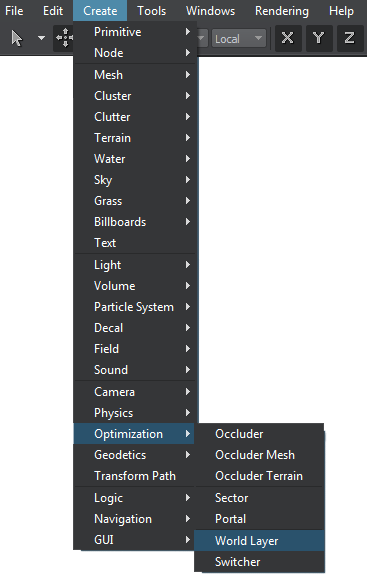 A world layer is a world object that performs a background node loading, starting at the specified distance. 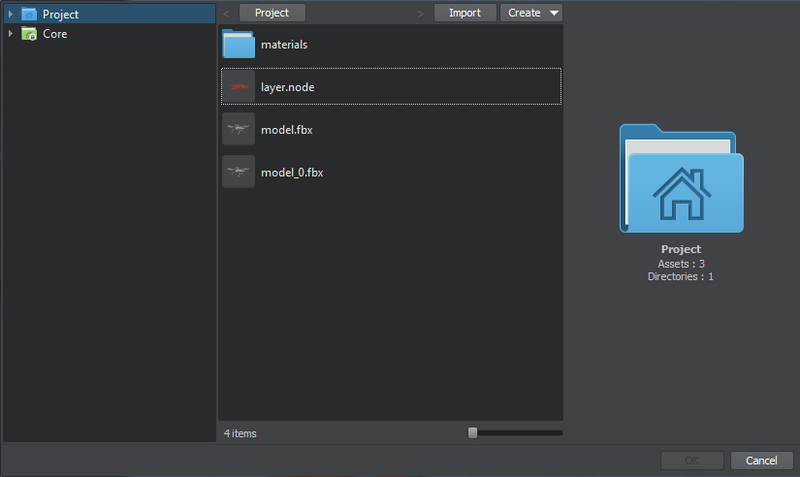 In the file dialog window that opens, choose a node to be loaded and click Ok.
Place the node in the scene. Toggles the editing mode for the world layer node on and off. 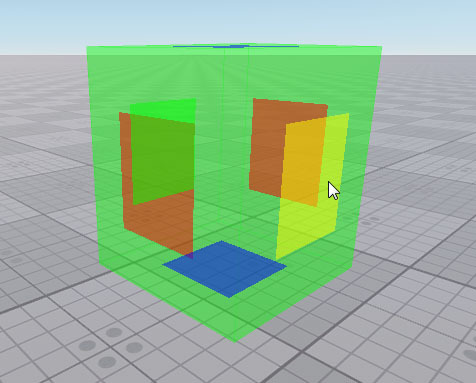 When enabled, the bounding box sides that can be resized are highlighted with the colored rectangles. To change the size of a side, drag the corresponding rectangle. A flag, indicating if the distance to the object is counted from the center of the bounding box (if disabled, the distance will be counted from its nearest edge). The size of the layer's bounding box along the X, Y and Z axes, in units. The offset of the layer's bounding box along the X, Y and Z axes, in units. The distance from the object's center or edge to the camera, starting at which the node is loaded, in units. The distance from the object's center or edge to the camera, starting at which the node is not loaded, in units. The world layer .node file. The priority group value. Greater priority means faster loading. The node weight value. Greater weight means faster loading inside the same priority group. Bake the edited nodes into one WorldLayer. The button is enabled only when the Expand button has been pressed. Unbake nodes of WorldLayer. 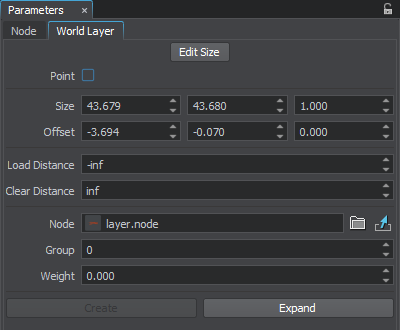 This option is useful when you need to edit or reposition nodes of WorldLayer: they will appear in the nodes hierarchy list as child nodes of the WorldLayer node. Do not forget to press Create to apply changes.